Garmin’s Edge 200 is different from traditional cycling computers. It features a GPS on board and brings new life to every ride with its simplicity and powerful online portal. 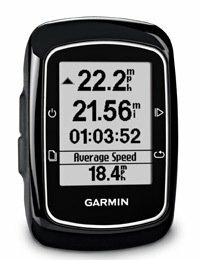 If you like to keep a record of your miles and then analyze them thoroughly later, then the Garmin Edge 200 is the thing for you. It’s a mini cycling computer backed by a GPS unit that has a fairly basic functionality that makes keeping track of your mileage very simple and easy. Although the display is limited, the simplicity and swap ability makes it an amazing device. The box contains Garmin Edge 200 GPS bike computer, Bike mount, AC charger, USB cable and Owner’s manual. The device is priced at Amazon at $129.99 & comes with FREE Shipping. The Edge 200 is a bit bigger than a standard bike computer but still compact at 48 x 69 x 22mm dimensions. You can mount it to bar of your cycle via a quarter-turn locking mount that’s held in place by two O-rings. You can also mount it on the stem or the tri-bars. It is shipped with O-rings of different sizes for different mounting points. The locking mount is pretty durable and there’s no way the Edge can fall off. The amazing thing about this device is its super swap ability, which means that there is no need for a second sensor kit and you don’t have to recalibrate for different wheel sizes. The computer tracks time, distance, speed, location and calories burned and is ideal for training every day. The Edge 200 is pretty simple to setup as compared to other computers, turn it on and it takes you through a basic setup procedure, language selection, formatting unit along with some personal data that enables the computer to give you an estimate for calories burned on rides. Once you’ve clicked through those screens, you’ll be taken to the main menu with its four options: Ride, Courses, History and Settings. Edge 200 features a high-sensitivity GPS receiver with HotFix® satellite prediction to calculate your position faster. That means when you turn it on outdoors, it finds satellites immediately and you never face any delays. You can also set alerts for distance, time or calories to make it easier and more fun to achieve your goals. The display of this device is satisfactory if not amazing with large easy-to-read numbers across the screen of 128 x 160 pixels. The screen shows your miles at the top while the average speed, calories burnt or total ascent at the bottom. It can store up to 130 hours of data at a time and gives a battery backup of 4 hours. Edge 200 brings new life to your rides with amazing features such as “Courses”, a feature that lets you challenge your times on previous rides. You also can download rides from other Garmin Connect users for a virtual competition. Whether you ride for leisure or fitness with the Edge 200 you’ll love seeing how far and how fast you rode. Having data at your fingertips is pretty amusing and provides constant motivation to keep you going. 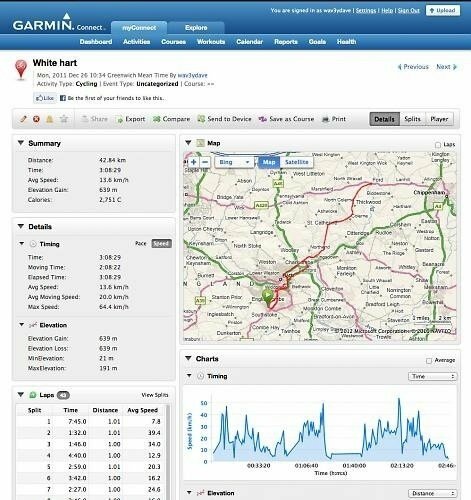 Once you are done with your rides, you can upload your stats to Garmin’s online database; Garmin-Connect. 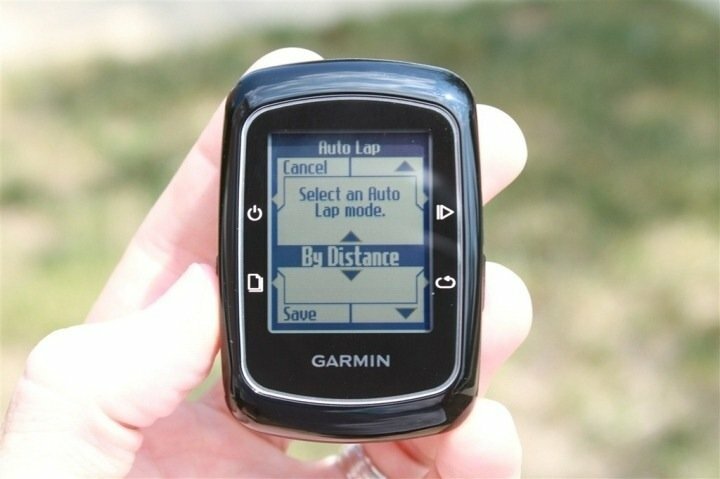 Uploading your rides to Garmin Connect is easy. Plug the computer into the USB cable that’s provided with it and head to the Connect website. You can download the Communicator Plugin and upload your logged rides seamlessly. Once the stats are uploaded you can view them, rename them, share them and compare them with other rides, or make them into courses. You can even challenge your friends and rest of Garmin community to beat your records! We tried the Edge 200 on our bikes and were pretty satisfied by the results and its adaptability. However a larger, user configured display would have been great. And If you can spend more bucks, do check out its bigger brother; the Edge 500 by Garmin. Previous articleSamsung Fit 2 to launch on May 28th?